Triple Steelix is ​​starting a very important innovation and development machinery for the development of sustainable future energy. Triple Steelix has gathered a number of important and leading players to collaborate and run the project "Future New Value Chains for Offshore". Triple Steelix has been granted SEK 2.25 million by the Swedish Agency for Economic and Regional Growth in support of the European Regional Development Fund for the project, which corresponds to 50% of the project's total budget. Other financiers are Vinnova and participating parties. 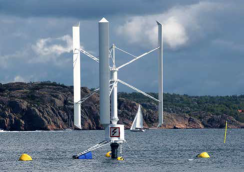 In a previous feasibility study, where the cooperation between different Swedish regions has been the starting point, offshore activities, "blue growth" and, above all, energy recovery from the sea have been identified as a potential development area. In Sweden, there is already an emerging industry where experience and knowledge from the material development side, construction, systems and application, IT and automation, environment and resource efficiency should be used to develop new world-leading value chains in the area. 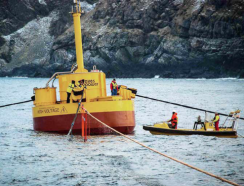 Both on the west and east coast there are companies that are far ahead in terms of systems and applications for wind, wave and tidal power, as well as lightweight constructions and craft for marine environment. The major technical challenges associated with offshore operations represent challenges that include: requires advanced material and construction technology, logistics and expertise as well as complex systems to be solved efficiently. These are Swedish areas of strength that have great opportunities to develop into the new value chains of the future in the area. By linking companies, academies and organizations around these challenges, Sweden's leading steel companies, both as material and component suppliers, together with other advanced material, component and system manufacturers should be able to generate solutions that are internationally competitive. The work is expected to generate a number of new projects where Swedish industry can play a leading role in a globally growing and important area. 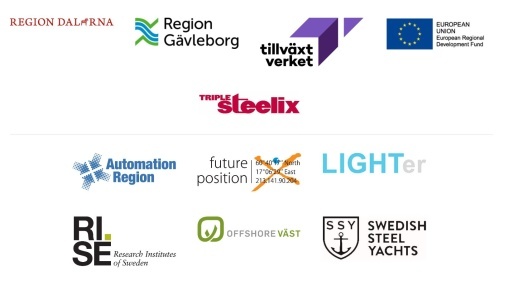 The project runs until January 2020 and takes place in collaboration between Triple Steelix / Jernkontoret, Offshore West / SP Technical Research Institute of Sweden, Swerea IVF, Automation Region / Mälardalen University, and SSY and contacts will be linked with additional companies with ideas in the area. If you want to know more about New Value Chain for Offshore, you can contact Larz Ingberg at Triple Steelix.